CULVER CITY, Calif. (Jan. 26, 2015) – Steve Carell (Crazy, Stupid, Love. ), Channing Tatum (22 Jump Street) and Academy Award® nominated Mark Ruffalo (Best Performance by an Actor in a Supporting Role, The Kids Are All Right, 2010) star in the multiple Golden Globe and Academy Award-nominated psychological thriller FOXCATCHER, available on Blu-ray™, DVD & Digital HD on March 3 from Sony Pictures Home Entertainment. Based on actual events, this critically acclaimed film from Academy Award® nominated Director Bennett Miller (Best Director, Capote, 2005) tells the story of Olympic gold medal-winning wrestler Mark Shultz (Tatum), who is invited by eccentric multi-millionaire John du Pont (Carell) to his state-of-the-art training facility in preparation for the 1988 Seoul Olympics. Hoping it will catapult him out of his brother’s shadow, Mark jumps at the opportunity. But du Pont soon becomes unsatisfied with Mark’s performance, driven by hidden needs, and seeks backing from Mark’s revered and charismatic brother, Dave (Ruffalo). Misguided loyalty, jealousy and ultimately betrayal lead to an unexpected and tragic end. 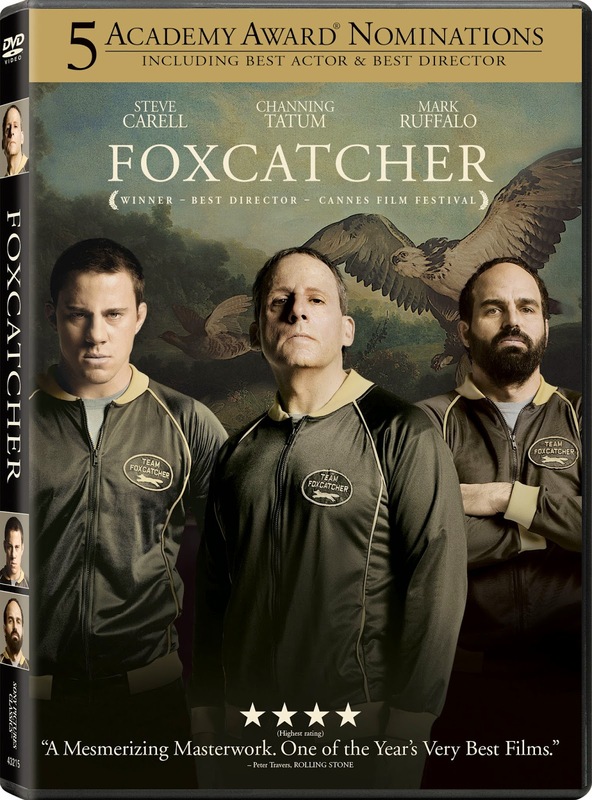 Bonus features for FOXCATCHER include deleted scenes, as well as the never-before-seen featurette, “The Story of Foxcatcher,” a behind-the-scenes look at the making of the film with Director Bennett Miller, Steve Carell and Channing Tatum. The film also stars Sienna Miller (Two Jacks), Anthony Michael Hall (The Dark Knight), and Academy Award® winner Vanessa Redgrave (Best Performance by an Actress in a Supporting Role, Julia, 1978). The dynamic between Schultz and du Pont deepens as Mark embraces his benefactor as a father figure. But du Pont's mercurial personality and psychological gameplay begins to weigh heavily on Mark's shaky self-esteem, undermining his abilities on the mat. When du Pont's favoritism shifts to brother Dave — who possesses the authority and confidence both he and Mark lack — the trio is propelled towards a tragedy no one could have foreseen. 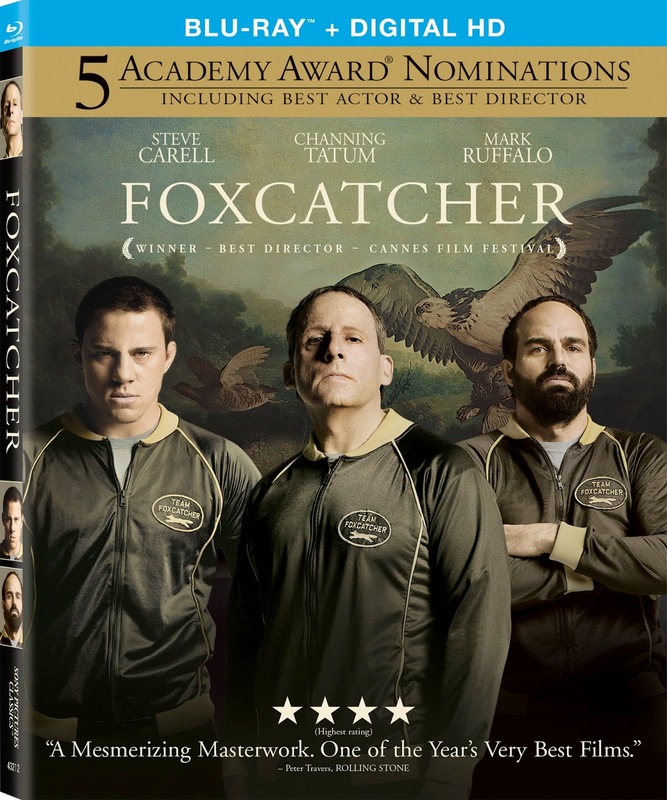 FOXCATCHER is a searing true-life account of three men grappling for their versions of the American Dream. 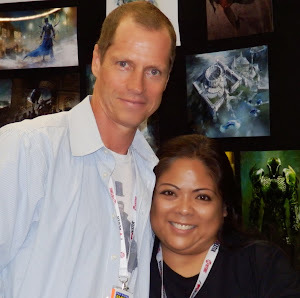 The film is directed by Bennett Miller from a screenplay written by E. Max Frye and Dan Futterman.FOXCATCHER was executive produced by Chelsea Barnard, Ron Schmidt, Mark Bakshi, Michael Coleman, and Tom Heller, with Megan Ellison, Bennett Miller, John Kilik and Anthony Bregman as producers. FOXCATCHER has a run time of approximately 134 minutes and is rated R for some drug use and a scene of violence. “Academy Award®” is the registered trademark of the Academy of Motion Picture Arts and Sciences.